It is impossible to live life without change. It is ever present and we sometimes experience it on a daily basis. Consider the fallout of Scion and the introduction of the Toyota 86 (in lieu of the FR-S) to the Canadian market. 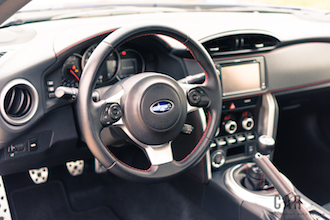 The twin to that car, the Subaru BRZ has undergone some changes as well. 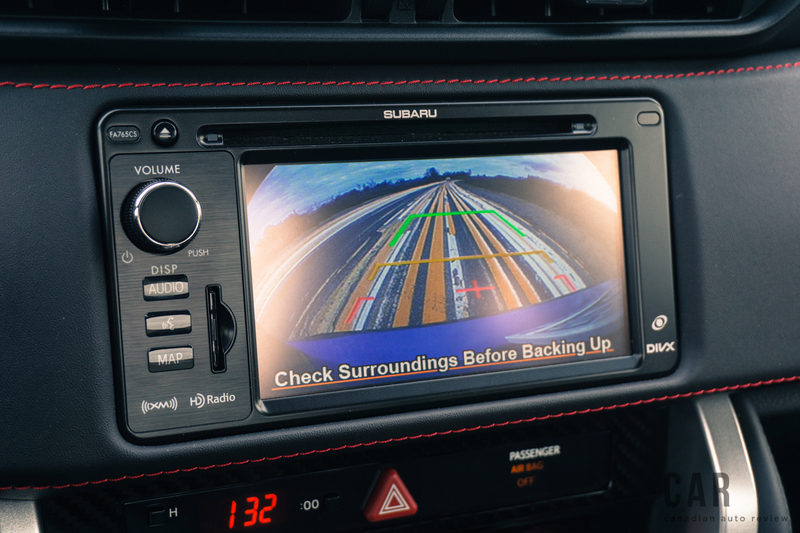 Receiving its first major update since it was introduced back in 2012, the BRZ gets a few more horses under the hood, revised suspension tuning, a new performance package, and a lot of visual changes that keep it modern and relevant. 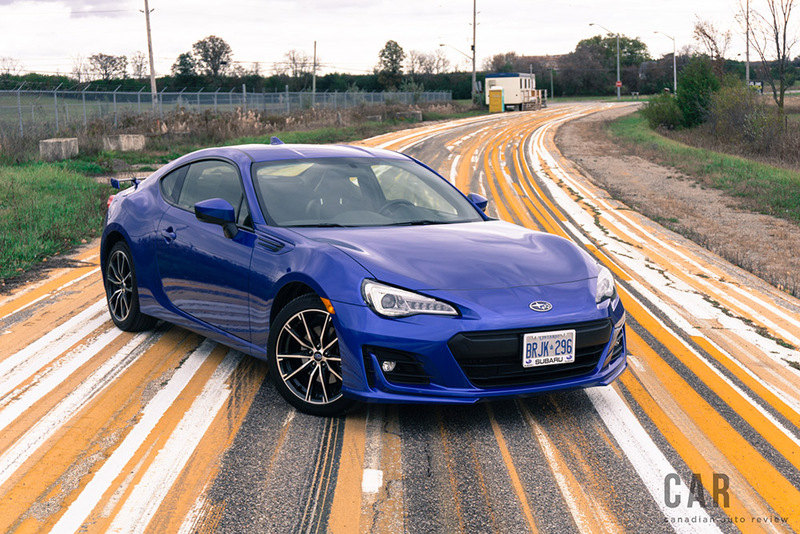 With the BRZ, Subaru has seemingly hit the sweet spot for driving enthusiasts who want an exhilarating sports coupe that delivers a one-of a kind driving experience, all without breaking the bank at the dealership or at the pump. 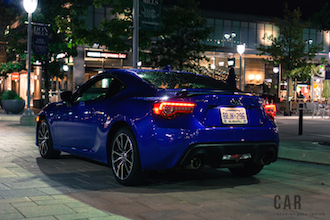 Co-developed between Subaru and Toyota, the BRZ and the new 86 are nearly identical twins. 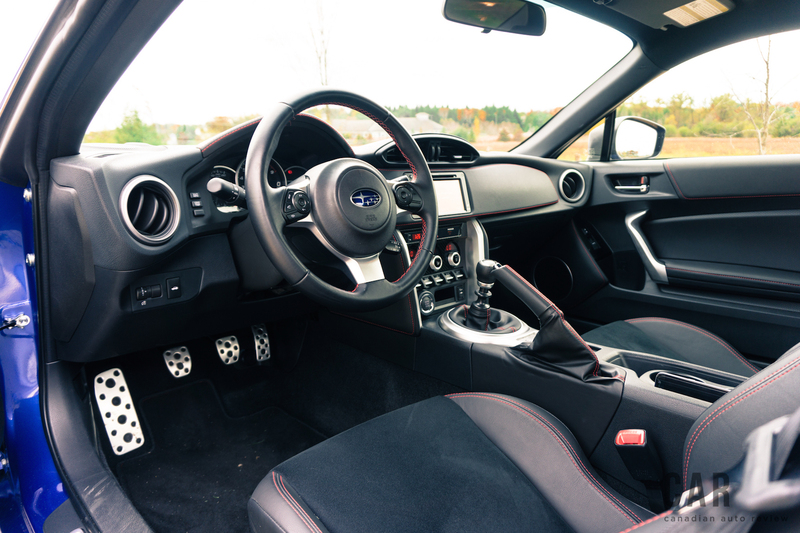 The only differences are nuances in exterior design, exhaust notes, suspension tuning, and materials used in the interior. The Subaru offers more upscale features and factory options that the Toyota—essentially the bigger brother of the two. 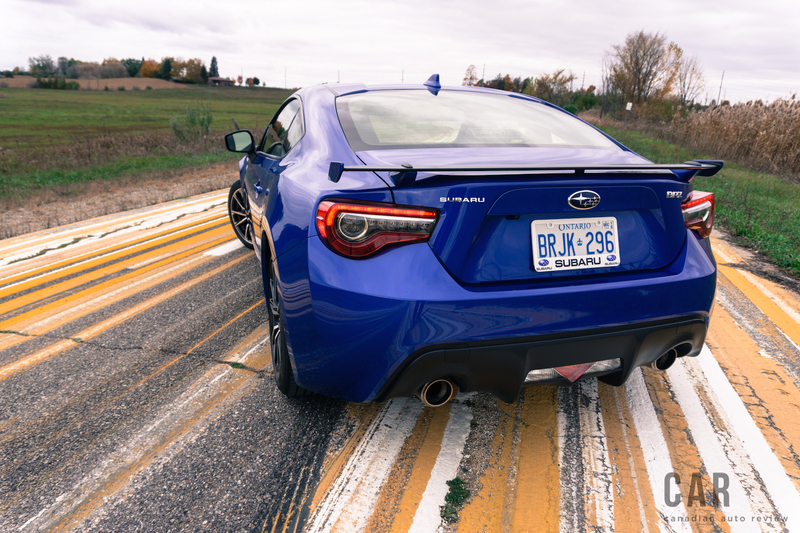 The BRZ is powered by the same 205-hp, 2.0-litre four-cylinder motor that is mated to a slick-shifting six-speed manual transmission. 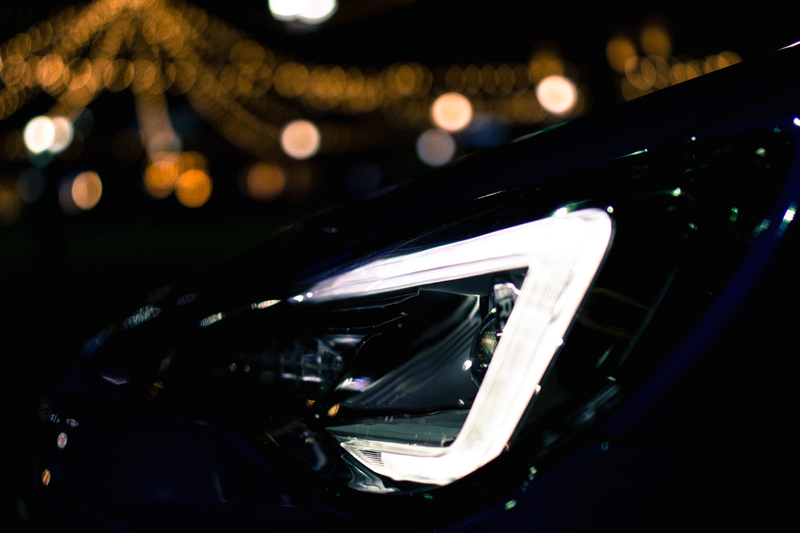 The combination delivers ample acceleration thanks to well-chosen gear ratios, fantastic cornering ability due to the standard Torsen limited-slip differential (LSD), and impressive fuel economy hovering just under 10.0 L/100km. But the BRZ is not like the Nissan 370Z, in which it’s all about raw power. 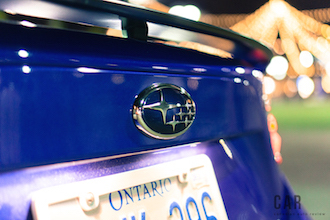 The magic in the Subie comes from its super-sharp handling and excellent braking that makes it so enticing to drive, whether you’re on a track or a twisty, back-country road. 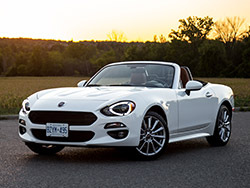 But there is another car on the market that does the same thing to appease driving enthusiasts, the Mazda MX-5 Miata and the Fiat 124 Spider. This leaves a tall order to be filled. 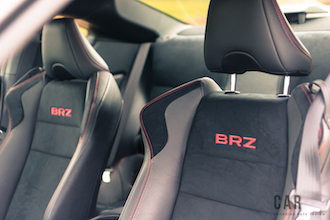 Luckily, you don’t need to drive the BRZ fast to thoroughly enjoy it. It can make a trip to the grocery store fun, moreso when the roads are wet. Relying on the LSD, taking off traction control and going sideways will not leave you in a tree unless you’re really that reckless. 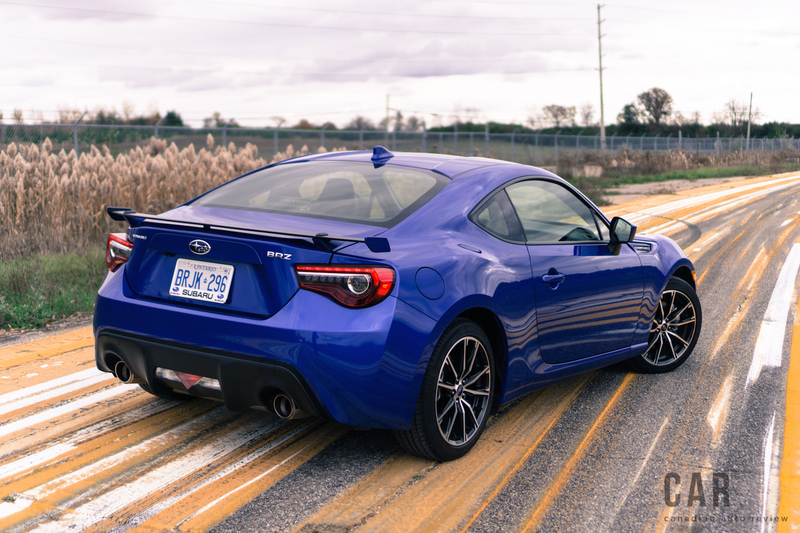 With little body lean in the corners, the BRZ feels agile and responsive, and remains composed even through the bumpy stuff. Differences between the BRZ and the outgoing FR-S are minute, with the FR-S being slightly more responsive and having a tad better steering input; but few drivers will notice this. The ride does feel somewhat stiff, but it is not too punishing by sports car standards. The suspension is compliant enough to take most bumps while providing some isolation, but the motions are short and quick, making it feel like you’re in a dinghy in a very choppy part of the sea. 2017 model year changes are small, but Subaru’s engineers have gone a long way to beef up the engine every so slightly. 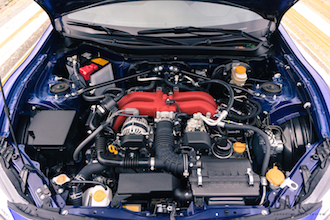 The 2.0-litre four-cylinder gets an updated airbox feeding an aluminum intake system, it has larger exhaust piping and manifolds, and the cylinder heads, camshaft, and valves have all undergone more rigorous polishing to reduce surface friction. Pistons have become stronger, and the crankshaft bearings have been beefed up. The result? 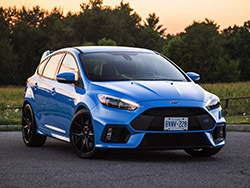 A paltry increase of 5 horsepower and 5 lb-ft of torque more than the outgoing model, bringing the totals up to 205 hp and 156 lb-ft. of torque. 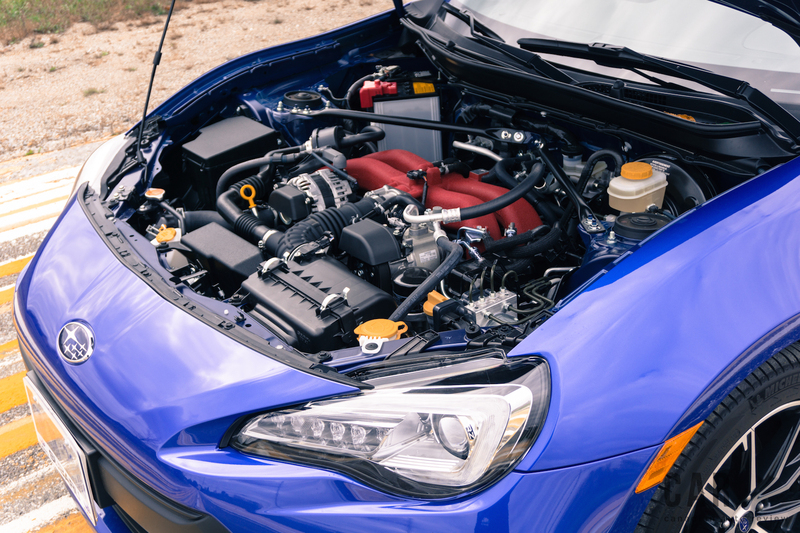 These gains may be seemingly trivial, but Subaru has stated that it was not an easy task gaining more horsepower out of the company’s already well-developed naturally aspirated engine. We agree. This newly tuned motor is available only with a six-speed manual, which has a thicker top gear for enhanced durability. 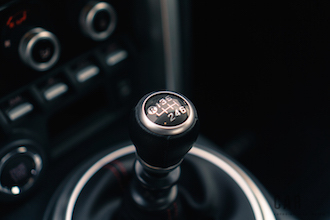 While the minimal power upgrade is all but unnoticed, what is more apparent is that the final-drive ratio is now up from 4.10:1 to 4.30:1, which assists the user keeping revs up in the sweet zone. Like the old 200-hp motor, which is still available for buyers who choose the automatic BRZ, the new iteration has a dip in power and torque between 3,500 and 4,800 rpm. In order to enjoy the most out of it and keep the BRZ moving quickly, you’ll have to keep the revs high. It still feels just as fast as the old one, though. It won’t blow you out of your socks, but it’s a bit of a shame when you look at all the potential this chassis has for being a real competitor. 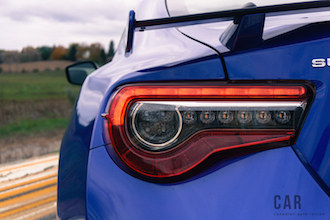 We’re still waiting for that turbocharged BRZ STI. In addition to the powertrain and chassis changes, Subaru has incorporated other visual updates. The 2017 BRZ wears a beefier-looking front fascia, full-LED headlamps along with LED taillamps that look like those Valenti taillights most owners upgrade to anyway. There is also the addition of a functional, trunk-mounted aluminum spoiler that’s now standard on all trim levels. 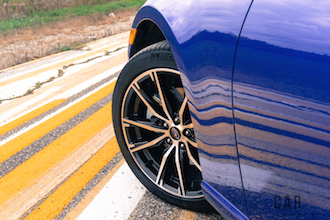 The new wheels are also great to look at and look sportier than the outgoing stock wheels. Inside, the BRZ is not a bad place to be. It is snug, but not constricting. 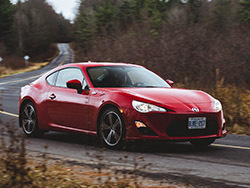 The materials used give a more upscale feel than that of the outgoing FR-S and the aggressively bolstered front seats are firm and provide great lateral support while cornering. Opting for the Sport-Tech trim will give you red stitching on the seats and trim along with padded surfaces on the dash and doors, all of which spruce up this budget sports car’s interior. The new steering wheel is the center of attention. The wheel is slightly smaller in diameter and wrapped in leather, and it incorporates updated controls for the audio and Bluetooth systems. 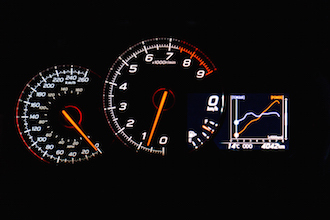 Further, a new 4.2-inch performance display is integrated into the updated gauge cluster. 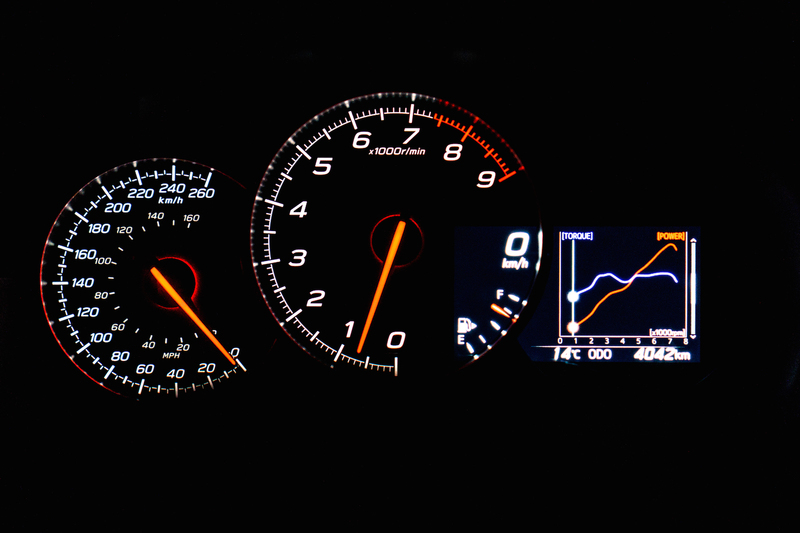 Within the new readout, drivers can monitor fluid temps, and horsepower and torque curves. 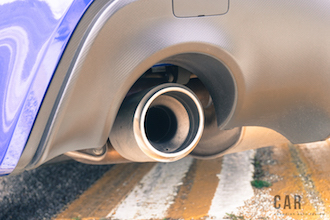 The latter is especially useful for drivers intent on avoiding the aforementioned soft zone in the powerband. Overall, the carpeting and painted dash panels are more purposeful than plush. Most panels have a solid feel and fit together well. Broad-shouldered drivers like myself will find the seats confining and uncomfortable for long trips, clearly a nod that this car was designed for smaller folk. However, there was enough leg room to sit comfortably once you’re inside, a feat I had trouble with when driving the Mazda MX-5. Starting at $27,995 the 2017 BRZ will remind you that you love driving. 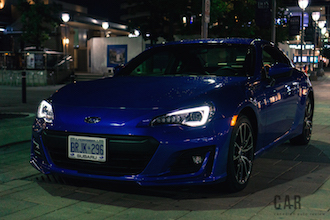 Even if it is towards an aimless destination and nothing more than a stint to burn fuel and risk your license, with the windows down and the sound of the BOXER engine in front of you, the BRZ is driving bliss. The formula of front engine, rear-wheel drive has always been the gold standard in what it means to have a great sports car, and when it is brought to the level where most people can afford it, we praise it.